The Academy of Applied Pharmaceutical Sciences (AAPS) is registered as a private career college under the private career colleges act, 2005. If you are looking for a college that offers challenging programs in high demand fields, such as Pharma, Biopharma, healthcare, Food, Medical Devices, Cosmetics, and Environmental AAPS is the place for you. Don’t wait for life’s rewards to come around – Make it happen by getting the education you need. AAPS is the Canadian premier Life Sciences and Pharmaceutical training college in the Greater Toronto Area. The school was established in 2003 to address the growing demands by healthcare manufacturers for better prepared and more practically trained applicants. 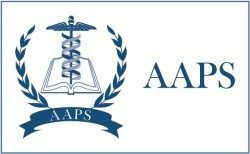 In tailored response, AAPS was designed and made operational by a team of highly experienced industry experts with one mission in mind; to create professional skill development programs that would exceed industry-training standards”. AAPS is among the top rated and most respected college in North America. The close industry relations, well equipped laboratories, and professional facilities allow AAPS to design and instruct programs that produce well-qualified graduates whom are eagerly recruited for professional employment at both entry and advanced levels. AAPS graduates enjoy the highest employment rate in the industry. Come join us today! College Categories: Pharmaceutical Laboratory and Pharmaceutical Quality. College Types : Private College. Tuition: Less than 20,000. .